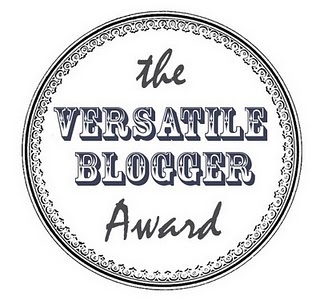 The Northern Bride: The Versatile Blogger Award- WoW! 3. Kerro 7 satunnaista faktaa itsestäsi. 4. Kiitä bloggaajaa, jolta sait tunnustuksen. 5. Lisää The Versatile Blogger Awardin kuva postaukseesi. 2. Me and my fiance are together for 10 years and know each other for 12 years, and my sister didn't believe me when i told her for the first time that we are getting married. 3. I think Terry Pratchett is one of the most amazing writers on this planet! 4. We have two adorable Westie dogs, mother and daughter. 5. I write better than i talk as i feel that my mind runs so fast that i just can't talk fast enough to get all the staff from my head :) People are actually surprised when they see the way i am able to write as i talk less. p.s. i love braids too!